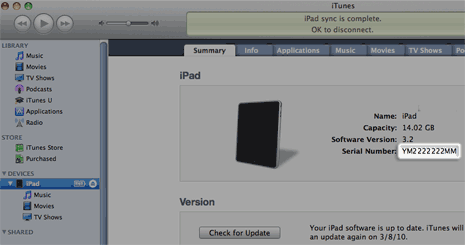 Each iPad device has unique serial number for identification. Like many other electronic devices for example mobile phones it has IMEI (International Mobile Equipment Identity) number. It also has Integrated Circuit Card ID (ICCID) number on Wi-Fi + 3G models. You can easily check on these details using either of the following method. On the Home screen tap to Settings > General > About. 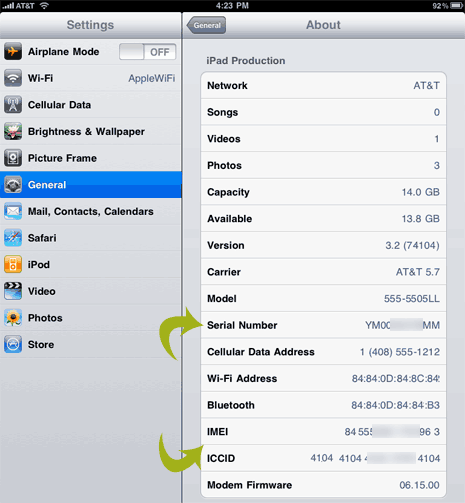 Then scroll down to view serial number and IMEI and ICCID details. You can also view model, firmware version, capacity and other information. Just flip over and see the serial number at the back of metal case. 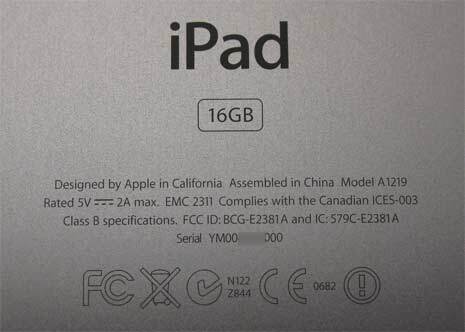 Serial number will be engraved on the iPad body (as seen in image above). Since your iPad is new, you may have to original packaging material. Check for serial number details on a slip pasted on packaging material.